A pioneering eye test could save the sight of millions by helping doctors tackle the biggest global cause of permanent blindness. The test allows early detection of glaucoma so that treatment can start before vision begins to deteriorate. It also has potential for diagnosing degenerative neurological conditions including Parkinson’s, Alzheimer’s and multiple sclerosis. Glaucoma, caused by the death of retinal cells at the back of the eye, affects 60 million people around the world, a tenth of whom are completely blind. The new technique, called Darc (detection of apoptosing retinal cells) uses a special fluorescent marker which attaches to cell proteins when injected into patients. Unhealthy cells appear as white fluorescent spots during an eye examination that employs equipment routinely kept at hospitals. 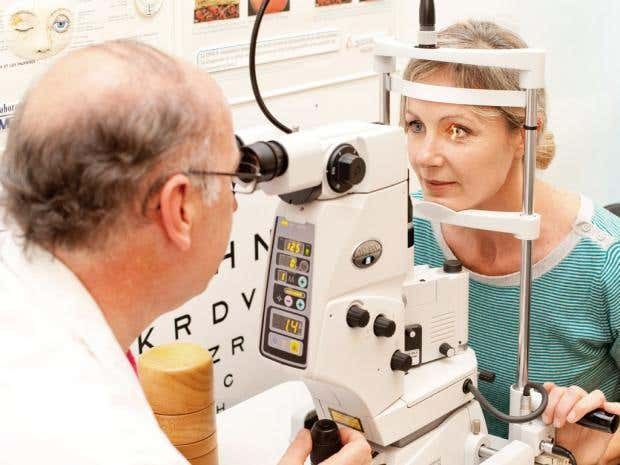 Professor Francesca Cordeiro, from University College London’s Institute of Ophthalmology, who led the research, said: “Detecting glaucoma early is vital as symptoms are not always obvious. “Although detection has been improving, most patients have lost a third of vision by the time they are diagnosed. Now, for the first time, we have been able to show individual cell death and detect the earliest signs of glaucoma. Results of an early clinical trial of the test appear in the latest issue of the journal Brain. A total of eight patients with evidence of retinal neurodegeneration and eight healthy individuals took part in the study. The Darc test enabled labelled cells to be identified up to six hours after injection. A positive test result was significantly correlated with a diagnosis of glaucoma and later loss of vision. The fluorescent marker, known as ANX776, was found to be safe and well-tolerated with no adverse side effects. Chief investigator Professor Philip Bloom, from Western Eye Hospital, part of Imperial College Healthcare NHS Trust, said: “Treatment is much more successful when it is begun in early stages of the disease, when sight loss is minimal. The scientists believe the test may have wider applications because the nerves that help us see are essentially an extension of the brain. Programmed cell death, or apoptosis, at the back of the eye could therefore provide an early indication of neurodegenerative disease. The research is funded by the Wellcome Trust charity. Bethan Hughes, from Wellcome’s Innovation team, said: “This innovation has the potential to transform lives for those who suffer loss of sight through glaucoma, and offers hope of a breakthrough in early diagnosis of other neurodegenerative diseases.